Available for local Bay Area delivery only. Please call 650.368.6993 between 9-4 pm, Monday through Friday. 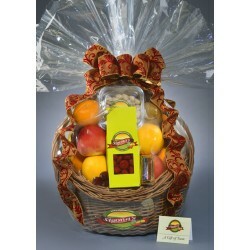 IN-STORE PICKUP ONLY	Named after our very first fruit stand back in 1975, this gift basket is filled.. AVAILABLE IN STORE ONLY	This basket is a collection of some of the Sigona brothers’ favorites, a fa..
IN-STORE PICKUP ONLY	This beautiful gift basket comes overflowing with a combination of fresh, hand-..
IN-STORE PICKUP ONLY	Loaded with beautiful fresh fruit in season, this gift basket also features a ..
IN-STORE PICKUP ONLY	Quickly becoming a customer favorite, Farm Valley is loaded with gorgeous, fla..
IN-STORE PICKUP ONLY	This is it! 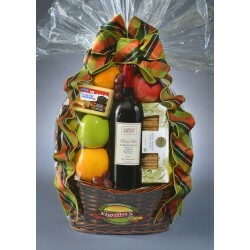 The perfect corporate, house warming, picnic or anytime giftbasket..
IN-STORE PICKUP ONLY	This hand-crafted basket comes overflowing with the finest selection of handpi..
One of our best selling baskets and deservingly so! Chocked full of gourmet goodies, cookies, Itali.. Sit back and relax, enjoy the fruits of our labor! We guarantee the items found in this gourmet gif..
IN-STORE PICKUP ONLY	The ultimate in taste! 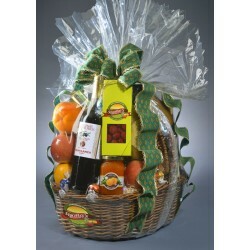 A very special gourmet basket filled with fresh fruit, ..
IN-STORE PICKUP ONLY	No need to set sail for some far away tropical paradise, it’s here! Loaded wit..